Published: Jan. 21, 2014 at 10:46 a.m. Updated: Jan. 22, 2014 at 08:32 a.m. It won't look a thing like Mile High, but Super Bowl Sunday against the Seattle Seahawks is, officially, a home game for the Denver Broncos. The balmy temperatures Peyton Manning and friends enjoyed during the AFC title game are a long shot at MetLife, but the Broncos will have full control over one aesthetic: jersey color. Denver plans to roll with the orange shirts they've donned at Sports Authority Field since the start of the 2012 campaign, according to the team's official site. They're 14-2 in the regular season and 2-1 in the playoffs wearing those jerseys, and Manning is a documented creature of habit. 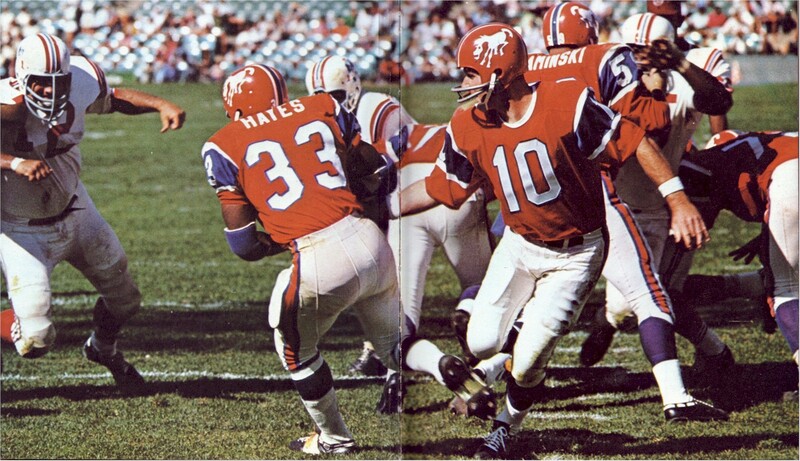 In-house uniform monitor Dave Dameshek is on record praising aspects of Seattle's new look, but he'd rather see Denver deep six the orange duds for "the best uniform the Broncos have ever worn," their 1960s orange-on-orange AFL duds. The fashion fantasies will have to wait. Denver isn't about to flip the script with one game to go.